Ardlui House in Helensburgh provides short breaks in a safe, fun and stimulating environment. The service caters for children and young people who have communication difficulties, complex health, physical or learning disabilities, sensory impairment and ASD. Breaks can range from 1 night to 2 weeks and will include activities planned to the young persons individual needs. The service is registered to support individuals from birth to 24 years old in age appropriate groups. An new opportunity has arisen within our Children and Young Person’s service in Helensburgh for a Registered Manager. We are looking for flexible, creative individuals who are enthusiastic about supporting Children and Young People in a residential setting. We are currently looking for a suitably qualified and experienced Registered Manager who is committed to ensuring that people using services enjoy the highest quality of support. The successful candidate will also be part of the organisation’s broader management team and will contribute to organisational and practice development. The successful candidate will be ambitious and self-motivated. Sense Scotland has an extensive package of staff training and terms and conditions for staff to support them in their role. 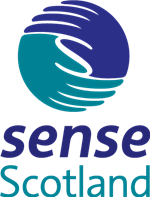 Sense Scotland offers an extensive range of employee benefits including;Ongoing training and development, generous annual leave entitlement, flexible working, family friendly policies, contributory pension scheme, employee assistance programme, cycle to work scheme, death in service benefit and free and Perkbox membership. Experience of supporting children and young people with complex needs.